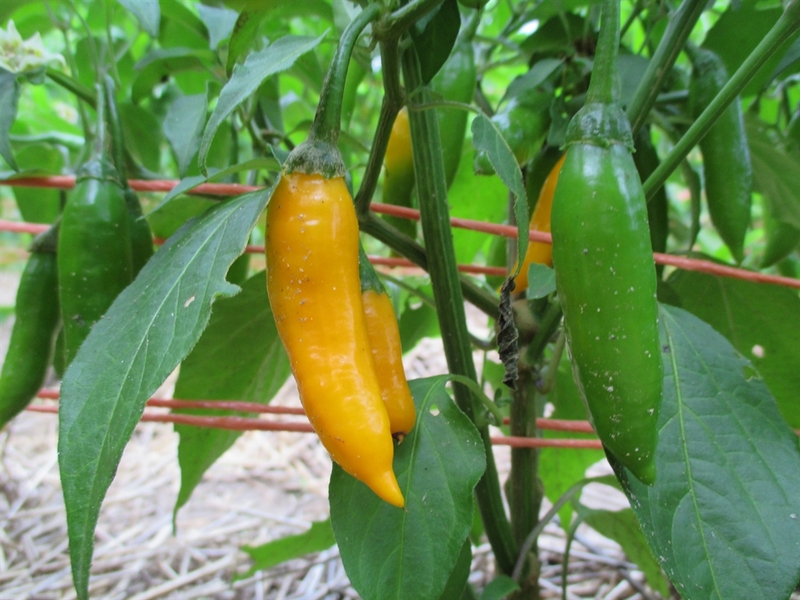 Capsicum baccatum 75-80 days Criolla Sella is an heirloom hot pepper native to Bolivia. The fruits are small (3″ long) and medium-hot (30,000 Scoville Heat Units). The flavor is superb and has a hint of citrus. I found myself quite addicted to eating them, almost daily, this last summer. 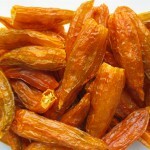 They are excellent fresh, used in salsa, or dried for seasoning. The plants are fairly short and very productive right up to fall frost. This variety is highly adaptable to growing in the North and does not mind cool evening temperatures. Even the seed germinates remarkably well in cool soils. Criolla Sella is probably a good candidate for growing in a pot or in a greenhouse. Start pepper plants indoors 8-10 weeks before setting out in the spring after all danger of frost has passed. I never plant peppers before the last week of May. They are helped along with a support like caging or trellising. Steel wire, round cages work great for peppers. 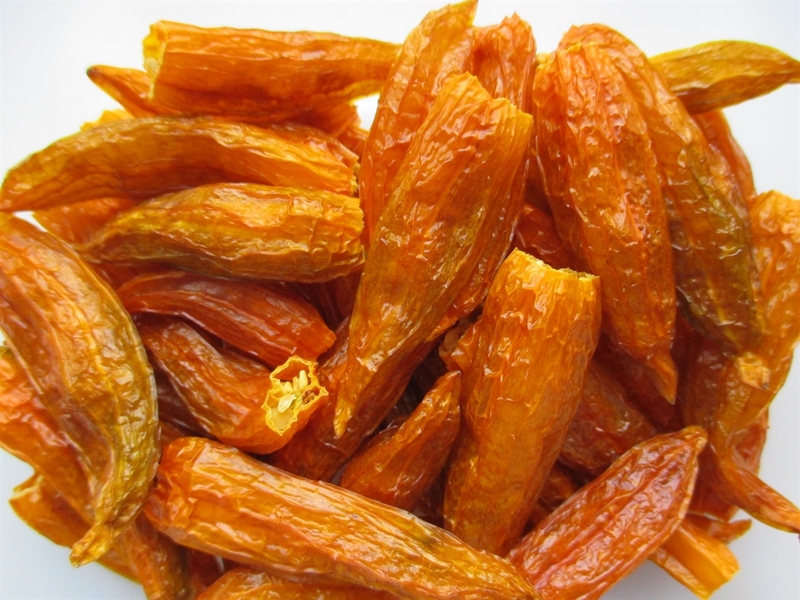 Seed Saving: Isolate sweet peppers 150′, and hot peppers 500″.